Connect to a Plesk server via RDP. Launch Plesk Reconfigurator at Windows Start > All Programs > Plesk. 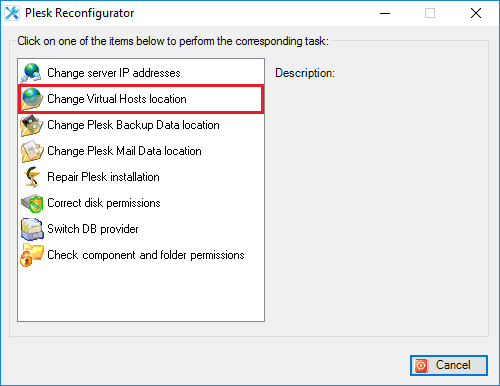 In Plesk Reconfigurator, select Change Virtual Hosts location. 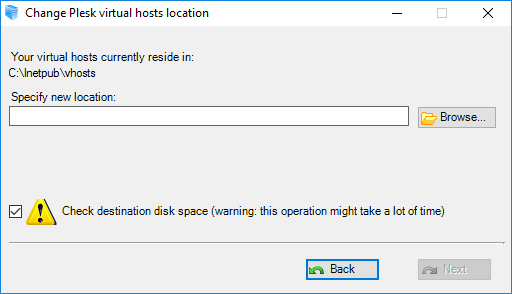 Specify the new location for virtual hosts and click Next. All existing virtual hosts data will be transferred to the new location as well. SSL Certificate - Secure Your Website Today ! © 2019 CloudTechtiq. All rights reserved.